Perhaps the least commercially exciting fixture of the next two weeks for Manchester United could also be the most important, as it will allow Ole Gunnar Solskjaer to guide his side towards Champions League football while also setting the precedent for huge upcoming fixtures in all competition. It could also be an opportunity for the Norwegian manager to rotate his side and rest valuable players. With Chelsea, who now sit just two points ahead of United, travelling to Manchester City, the likelihood of them dropping points is significantly higher than most weeks. The Red Devils surpassed Arsenal after the Gunners lost emphatically to Pep Guardiola’s City and the same result for Chelsea this week would not come as much of a surprise. 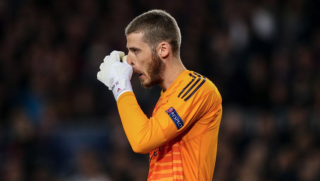 The massive squad rotation that is likely to occur for this match will not have to include de Gea, who has more than enough energy to be between the sticks every match. If he is rotated, it will be for the FA Cup tie. Countless poor performances from Ashley Young in recent weeks, combined with the need for Dalot to adapt to the Premier League, should ensure that the Portuguese fullback starts against Fulham. Young’s recent performances should offer an entrance path to the side for the upcoming key matches if the 19-year-old produces a solid display. Lindelof’s performances in January made him good value for his EA Sports Player of the Month nomination. Expect four commanding displays at the back from the Swede in the upcoming key matches. Performing admirably compared to Phil Jones in recent weeks makes Bailly the likely candidate to start alongside Lindelof against Paris Saint-Germain, Chelsea and Liverpool. 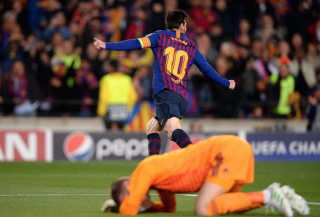 However, promises of an elite defensive partnership between the two will only be delivered upon if they play as many matches together as possible. Denied an assist against Leicester after putting a goal on a plate for Marcus Rashford, Shaw will take encouragement from the improved attacking effort on Sunday and look to prepare himself well for PSG in the upcoming match. It would not be a surprise to see a left-field option in his position against Fulham, though. Resting against Burnley last week should guarantee that Herrera, United’s best player against Leicester, continues through the next four matches, especially given the need to rest other key midfielders in the side. It seems as if one of Herrera or Nemanja Matic will start next season as a first-choice midfielder, but not both, and the former is staking a great claim as to why he should be the one. I have predicted Fred to start every single match recently and to no avail, but Matic looked exhausted against Leicester and for that reason, I’m sticking to my principles on this one. Fred needs to become the fourth man in United’s midfield. The versatility, well-roundedness and rotational flexibility he can offer may make the difference for United in the variety of competitions Solskjaer is currently trying to juggle. 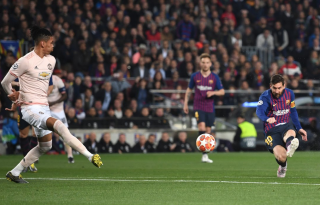 While it may be possible to rest Matic or Herrera at times, Pogba remains an unmovable presence in United’s side and his incredible fitness enables it. Expect him to be back and at his best, and perhaps also substituted early if the match goes United’s way. Half way through United’s disappointing draw against Burnley, Juan Mata was moved into central midfield, representing a position change which should have occurred a while ago. 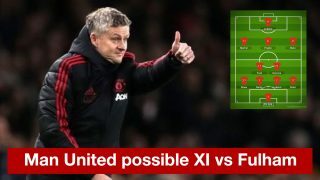 There are undisputed concerns as to whether he fits into the side as either a midfielder or winger, but the odds of Solskjaer picking him for this particular match remain high. Making a late cameo against Leicester after returning from injury, Martial once again proved that his immense quality on the ball and proficiency in wide areas make him one of Solskjaer’s most important players. 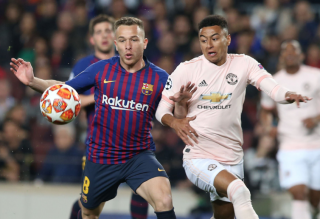 He, Lingard and Rashford are virtually guaranteed to start the upcoming crunch clashes, and of the three, he could use this match the most to regain sharpness. The overwhelming probability that Rashford will start against PSG raises an equal likelihood that Lukaku will be given a chance to impress against Fulham. 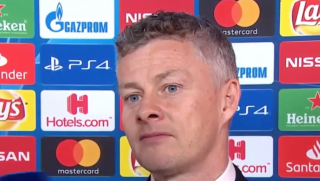 His improved form under Solskjaer has still featured his fair share of disappointing moments. Performing nowhere near his Everton levels is as much a letdown as a promise that he can still be an effective performer for Manchester United.